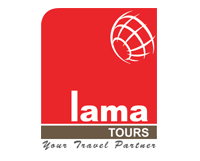 Lama Tours is one of the leading names when it comes to tour operating companies in Dubai, as this successful group has shown remarkable growth and achieved new heights since its inception about 14 years ago. The reason behind this triumph is Lama’s commitment towards their customers, as they take great care of tourists and give them optimum satisfaction by offering best excursion deals at affordable rates. In addition to this, their spectrum of services are quite wide, as it ranges from arranging visas to pick and drop, desert safaris to deep sea fishing and organizing private parties. To conduct their tours, Lama has land cruisers, limos and various types of buses in their fleet that makes customers journey even more comfortable. Lama Tours office can be found in the locality of Oud Metha from where people can learn more details about various packages. This entrenched Tour Company is providing a spectrum of events and excursions that is hard to find elsewhere. Their service spectrum includes worldwide hotel booking facility, inbound/outbound tours, sightseeing tours, adventures, desert safaris, Dhow cruises, airlines tickets reservations, meet & greet assistance, seminars/meetings, incentive travel, private parties, fishing trips, transfers, visas and other tours/services can also be arranged on request. Lama Tours take care of their clients in a very professional manner and offer services at affordable prices along with correct information that makes tour operating company a great value for money. The daily opening hours of Lama Tours office in Oud Metha are from 9:00 am to 9:00 pm. Al Sayegh Building, Second floor, Office Complex, Oud Mehta Road, P O Box 20808, Dubai, United Arab Emirates. 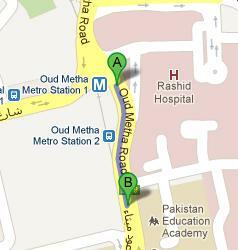 Oud Metha Metro Station 2 is 270 meters away from Lama Tours office in Oud Metha. The gap between these two dwellings can be bridged on foot in roughly 3 minutes, if a commuter heads in the southeast course from this metro station on Oud Metha Road/D 79, he or she will soon locate Lama Tours’ office after covering 270 meters. Oud Metha Metro Station 2 – Dubai bus stop is 2 minutes walk and 150 meters journey from Lama Tours office. However to reach this bus stop, clients of Lama Tours need to take any of these numbers 22, 42, 44, 61D, 66, 67, C4, C7, C18 or X23. Once they land at Oud Metha Metro Station 2 – Dubai, then they should head in the south course on Oud Metha Road/D 79 to get to Lama Tours office. View map for directions.